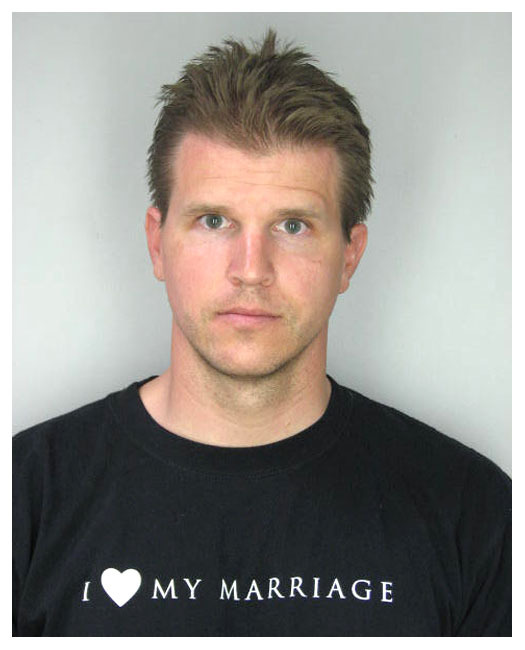 Tampa, Florida – An Apollo Beach man wearing an “I ♥ My Marriage” t-shirt was arrested Monday night, charged with choking his wife during an argument. Hillsborough deputies booked 32-year-old Bradley Gellert into jail on charges of a felony domestic battery by strangulation. According to the arrest report, Gellert works for Ameriprise, a financial consulting company. The arrest report says that the couple were arguing over drugs, and during the fight at their home, Gellert screamed in his wife’s face, threw things, grabbed her neck and strangled her, and knocked her to the ground.